Better than McDonald’s chicken nuggets, YEAH I SAID IT. I used to really not like curry but now I love it so here’s my recipe YW. Even classic chocolate chip cookies have a dark side. Tis’ the season… pumpkin spice everything. Muffins inspired by Beyoncé so you know they must be FIREEEEE. I've been getting requests for coconut free recipes as some people with tree nut allergies are also allergic to coconut. These tasty, allergy friendly treats are made with oat flour and are perfect for breakfast or dessert. Top with yogurt, seed butter (or nut butter), fresh fruit and honey. 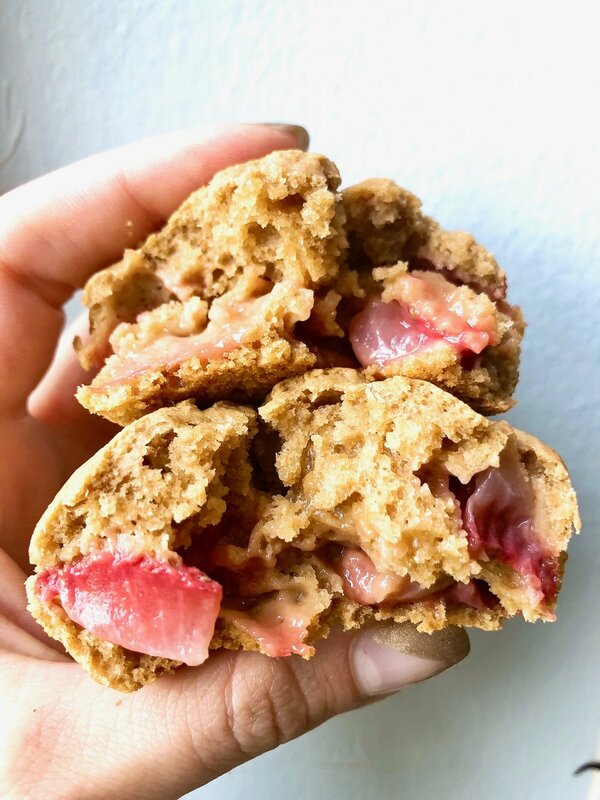 When all you want to do is eat nut/seed butter by the spoonful, straight out of the jar, make these cookies instead/in addition to. I usually don’t let my tree nut allergy get me down, however, I would be lying if I said that I didn’t experience major FOMO every time I see a post featuring Emmy's Organics cookies so I decided to make my own nut free version. They taste just as delicious as the real ones taste in my dreams. Recipe by my lovely friend @ciao.ella on Instagram. Check out her YouTube channel for more amazing vegan recipes. Campfire favorite with a fall flare. A dessert that usually features pecans, NOW featuring popcorn ;). Pillowy, fluffy pancakes a l w a y s win. You all loved my sweet potato cinnamon truffles so much, I had to give you another version of these tasty treats. Guilt free, gluten free chocolate filled fall breakfast favorite. 'Tis the season for pumpkin, sweet potato spice and everything nice. Do I dare say these are better than Reese's?! Amazing combo of blueberries, coconut, dark chocolate and hemp seeds. Chickpeas covered chocolate are healthy, right? Breakfast has never been sweeter with these cake batter cereal bars. Pizza bagels, meets cheese puffs, meets rice balls, meets meatballs...? I mean that in the best way possible. Cheesy, tomatoey goodness topped over roasted eggplant and finished off with a balsamic drizzle, fo shizzle. Fudgey, silky smooth chocolate truffles that are guilt free and made with my favorite ingredient... avocado. If macaroons and chocolate chip cookies had a child... it would be this cookie. Coconut, vanilla, and cream cheese frosting. What more could you ask for in a cupcake?! Completely nut free, gluten free and only sweetened with banana bites. Perfect dessert or breakfast to satisfy my sweet tooth. Top it however you please, I chose some of my favorite fruits. Basic overnight oats recipe meets chia seed pudding. The only way I eat my vegetables is covered in chocolate. Nut free take on Rachel Mansfield's recipe. On the hunt for the best gluten free pasta and finally found it with Banza's chickpea rotini. All of the fluffy pancake perfection, none of the carbs!